Mr. Caldarelli advises and represents corporate and individual clients in business, real estate and intellectual property disputes. Mr. Caldarelli has litigated and tried cases in state and federal court and before various arbitration providers. After graduating with honors from the Boalt Hall School of Law at U.C. Berkeley, Mr. Caldarelli began his legal career as a law clerk to the Honorable Edward J. Schwartz, former Chief Judge of the United States District Court for the Southern District of California. Mr. Caldarelli was a litigation associate with Latham & Watkins and a partner at Mazzarella Dunwoody & Caldarelli, LLP before forming Caldarelli Hejmanowski & Page LLP in 2011. Mr. Caldarelli has been recognized as a San Diego Super Lawyer and San Diego Top Attorney in the fields of business litigation, intellectual property and real property litigation. 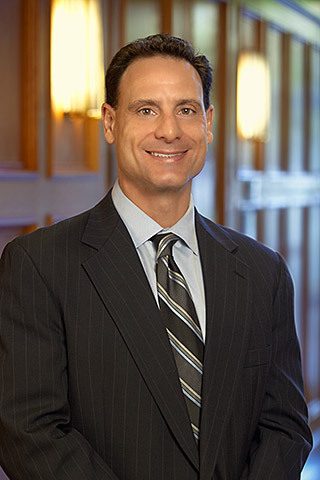 In addition to his accomplishments in the courtroom, Mr. Caldarelli has served as Chairman of the Litigation Section of the State Bar, President of the San Diego Chapter of the Federal Bar Association, on the Board of Governors of the San Diego Chapter of the Association of Business Trial Lawyers, and a Master in the Louis Welsh and J. Clifford Wallace Chapters of the American Inns of Court.